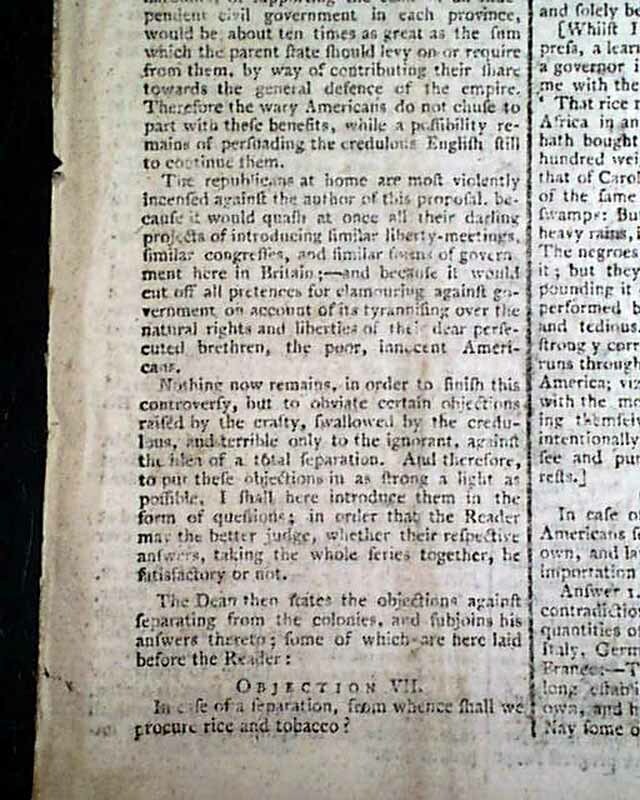 The entire front page and a bit of page 2 are taken up with: "A Series of Answers to Certain Popular Objections against Separating from the Rebellious Colonists, and discarding them Entirely; being the concluding Tract of the Dean of Gloucester, on the Subject of American Affairs" which has some fascinating reading (photos show only the beginning). 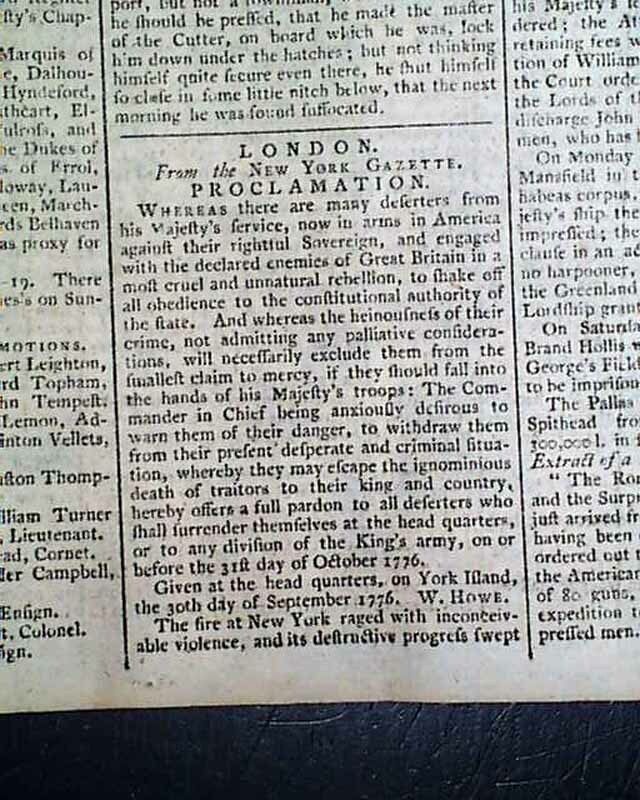 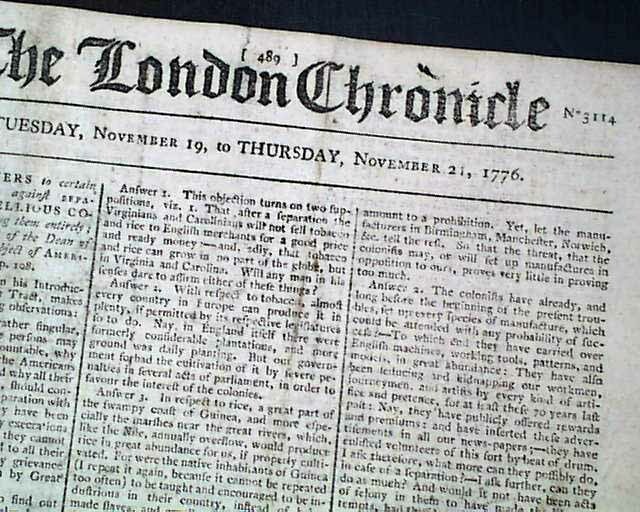 Page 2 has a report from the New York Gazette being a: "Proclamation" which begins: "Whereas there are many deserters from his Majesty's service, now in arms in America against their rightful Sovereign & engaged with the declared enemies of Great Britain in a most cruel & unnatural rebellion...Commander in Chief being anxiously desirous to warn them of their danger, to withdraw them from their present desperate & criminal situation...hereby offers a full pardon to all deserters..." with a bit more, & signed in type: W. Howe. 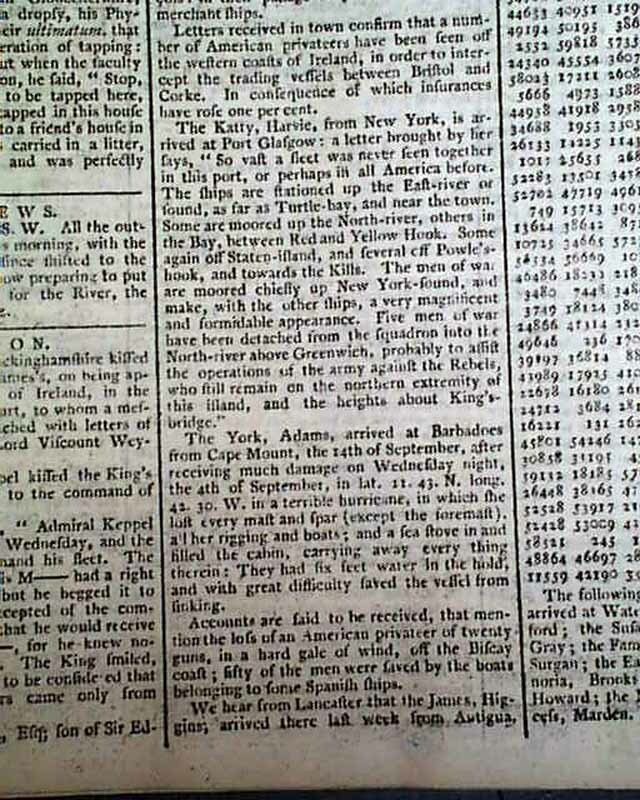 Further on is a report from New York concerning naval affairs which includes: "....Five men of war have been detached from the squadron into the North river above Greenwich, probably to assist the operations of the army against the Rebels who still remain on the northern extremity of this island, & the heights about King's Bridge...". 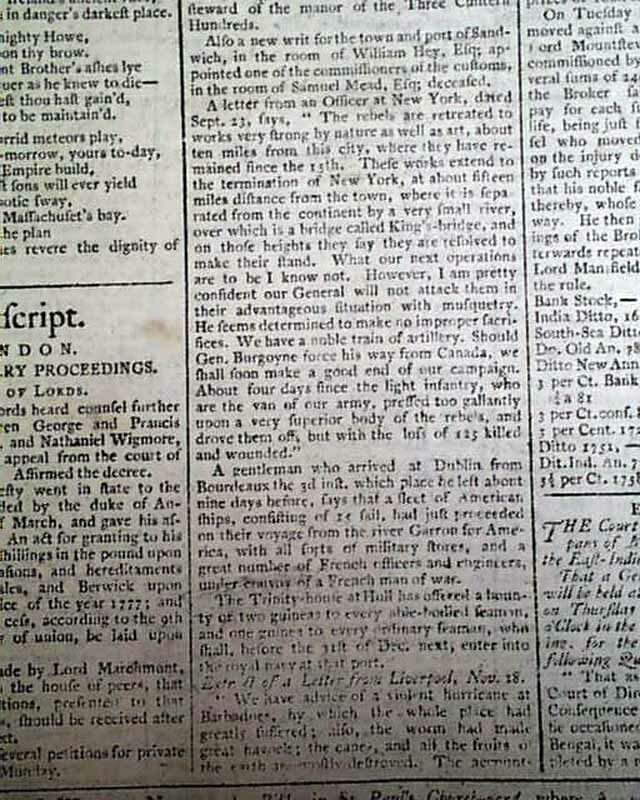 The back page has some war content as well including: "...The rebels are retreated to works very strong by nature as well as art, about ten miles from this city [New York]...What our next operations are to be I know not. 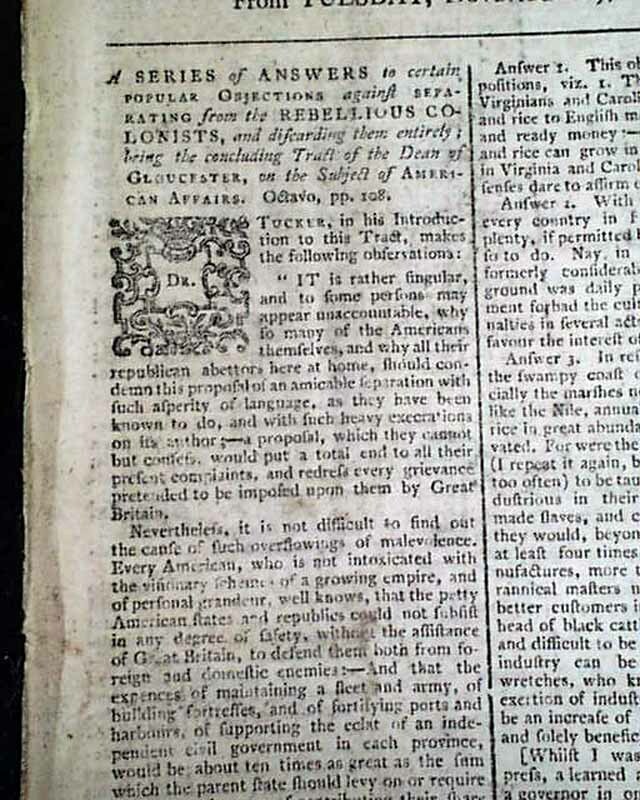 However I am pretty confident our General will not attack them in their advantageous situation with musquetry...Should Gen. Burgoyne force his way from Canada...". 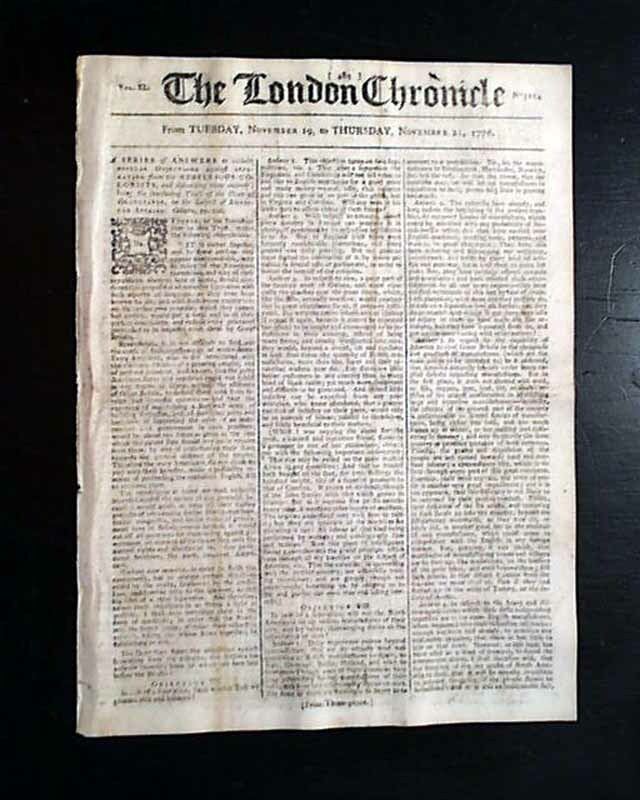 Eight pages, very nice, clean condition, 8 1/2 by 11 1/4 inches.